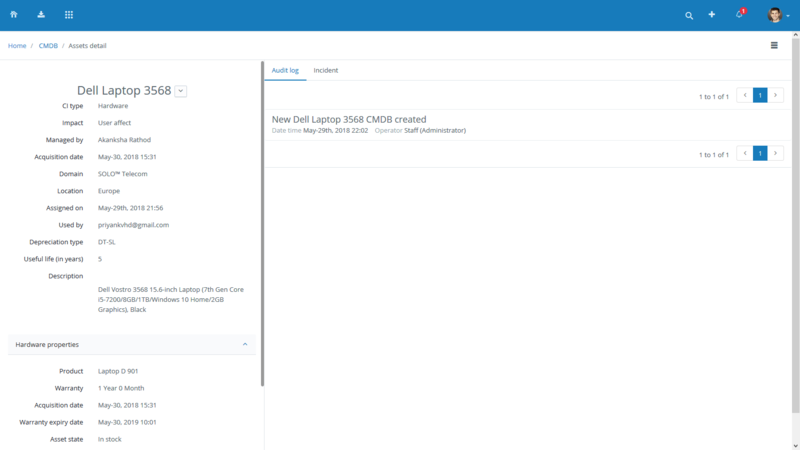 CMBD – Configuration Management Database – is a central repository or database that contains all relevant information about each configuration item (CI) including the CI location, status, and also its interconnectivity with other configuration items. The CMDB is also used to consolidate disparate data sets and be a current and accurate source of information about data within an organisations IT environment. CMDBs capture attributes of the CIs, including CI importance, CI ownership and CI identification code. A CMDB also provides details about the relationships (dependencies) between CIs, which is a powerful tool if used correctly. As a business enters more CIs into the system, the CMDB becomes a stronger resource to predict changes within the organisation. For example, if an outage occurs, IT can understand through the CI data who or which systems will be affected. CMDBs can be used for many things, including but not limited to business intelligence, software and hardware builds, as an inventory, and impact analysis for both change management and incident management. Create custom fields for CI items. All CI’s and managed and tracked centrally and referenced into different ITIL modules. Manage CI items from different locations at one place. Associate CI with Incident, Problem, Change and Release.